Did you know that stress is known as the “the silent killer” because it can lead to heart disease, high blood pressure, chest pain, and an irregular heartbeat? Did you know that the stress hormone, cortisol, not only causes abdominal fat to accumulate, but it also enlarges individual fat cells? Did you know that stress can alter blood sugar levels, which can cause mood swings, fatigue, hyperglycemia, and metabolic syndrome – a major risk factor for heart attack and diabetes? Stress is a physiological reaction to perceived harmful webinars, attacks, or threats to survival. The stress response serves a very important function, however problems occur when the response isn’t turned off. Even minor stressors trigger the body causing survival mode to kick in. This overreaction puts the body, and your health at risk for illness. My goal is to help you to stop suffering from stress related illness. During this experience, you will learn immediately implementable techniques for reducing stress and getting your health back on track! Click below to watch the replay now. Learn Techniques You Can Implement Today! Myth 1- Stress is the same for everyone. Myth 2- Stress is always bad for you. Myth 3- Stress is everywhere, so you can’t do anything about it. Myth 4- No symptoms means no stress. Myth 5- Only major symptoms of stress require attention. Stress triggers and responses are different for everyone. When in small doses, stress isn’t harmful. While, we can’t avoid every stressful situation, we can manage how we react to stress. Many symptoms of stress can be masked by medications or other conditions, and just because someone is not exhibiting symptoms, doesn’t mean they aren’t in a harmful state of stress. In fact, many symptoms such as headaches or an upset stomach are usually mistakenly attributed to other factors. If you want to improve your health for good, click above and watch the replay for Finding Your Calm to learn simple stress reducing techniques you can implement on a regular basis. Not only is this salad backed with stress fighting nutrients, it’s simple to make and delicious! Gluten Free Blueberry Banana Muffins. Here’s something you can really indulge in! These little guys are packed with powerful antioxidants to help fight stress. Preheat oven to 350°F and grease a muffin tin. Separately mix wet and dry ingredients. Pour wet ingredients onto the dry ingredients and stir until just combined. Fill each tin about 3/4 full and top with extra blueberries. Bake at 350°F for 25 minutes. To get you started, try out one of these workout routines that you can do anywhere! WANT TO LEARN MORE AND STAY CONNECTED? Ever feel stressed out? Ever get anxious, worried, depressed, or upset? There’s nothing more crucial than to have control of your breath when you are in a place of uncertainty, fear or even panic. When you routinely engage in a patterned in a breathing. Be it 5 minutes to 11 minutes to 31 minutes a day. Your body will be trained to know how to handle distress when situations arise. Try this for 5 mins every day before you start your day. Or while driving or commuting or waiting in line in the store. Learn to use your breathing to regulate your nervous system and release it from reacting to every situation that arise. Posture: Sit in any comfortable meditative posture with a straight spine, chin in, chest lifted. Breath: Concentrate on your breath. Inhale through the nose in eight equal strokes. Exhale through the nose in one deep and powerful stroke. To Finish: Inhale deeply, hold the breath 5-10 seconds, and exhale. Inhale deeply, hold the breath 15-20 seconds and roll your shoulders. Exhale powerfully. Inhale deeply, hold the breath 15-20 seconds, and this time roll your shoulders as fast as you can. Exhale and relax. So when your coworkers are being difficult, breathe in for the count of 8 strokes and breathe out in 1. If you kids are fighting in the back of the car nonstop. Breathe in 8 breathe out 1. If you are feeling that nothing is working out in your favor that day. Breathe in 8 breathe out 1. Breath is one tool that won’t go away no matter what. Our lives truly depend on our breath. Train it. Befriend it. When is the last time you took a moment purely for yourself? Turns out, having some time for self-care is one of the best things that you can do for your health and happiness. Contrary to popular belief, self-care is not selfish. Self-care is actually essential for all of us in our healing journey. The challenge is that all too often we prioritize other things above self-care (ie: doing the dishes, laundry, going to work, cleaning the house, paying the bills, watching tv, spending time with others, etc…). The good news is that there are small and powerful ways that you can take care of yourself in a better way, starting today. Relax, put your feet up, and enjoy one of the videos below. In honor of your best health, we are sharing 5 of our favorite TED Talks related to self-care. Do You Suffer From Chronic Exhaustion? According to a poll conducted by YouGov, 6 out of 7 Americans report not feeling refreshed upon waking, regardless of the amount of sleep they had. Out of the Americans who slept 7 to 8 hours a night, 45% expressed feeling tired or fatigued three times a week. 27% of them also shared they wake up tired at least 4 times a week. 54% of Americans that sleep six hours or less each night, also, wake up tired at least 4 times a week as well. In short, most Americans are tired most of the week, every week! The adrenal glands are responsible for the production and secretion of many essential hormones within our bodies, such as cortisol and adrenaline. These hormones facilitate our collective stress response. This reaction is composed of slowing down certain functions, such as digestion, brain activity, and psychological reactions, in order to preserve energy for combating stress. These hormones also aid in the increase of heart rate and blood pressure to equip the body to fight the apparent danger, which in our modern society is very little immediate “danger” at all. During Don’t Let Adrenal Fatigue Impact Your Life, you will finally get the chance to take control of your health by improving your adrenal function, stress response, and more with the expertise of functional medicine! This is guaranteed to be life-changing and we cannot wait to help people take control of the stress in their life so that the stress does not control them any longer. Your cognitive health has a dramatic impact on your entire life. With proper brain function, you can be more equipped to live the happy and healthy life that you desire. In this series, we have discussed the importance of nutrition for your cognitive health as well as the impact that lifestyle has on your overall wellbeing. 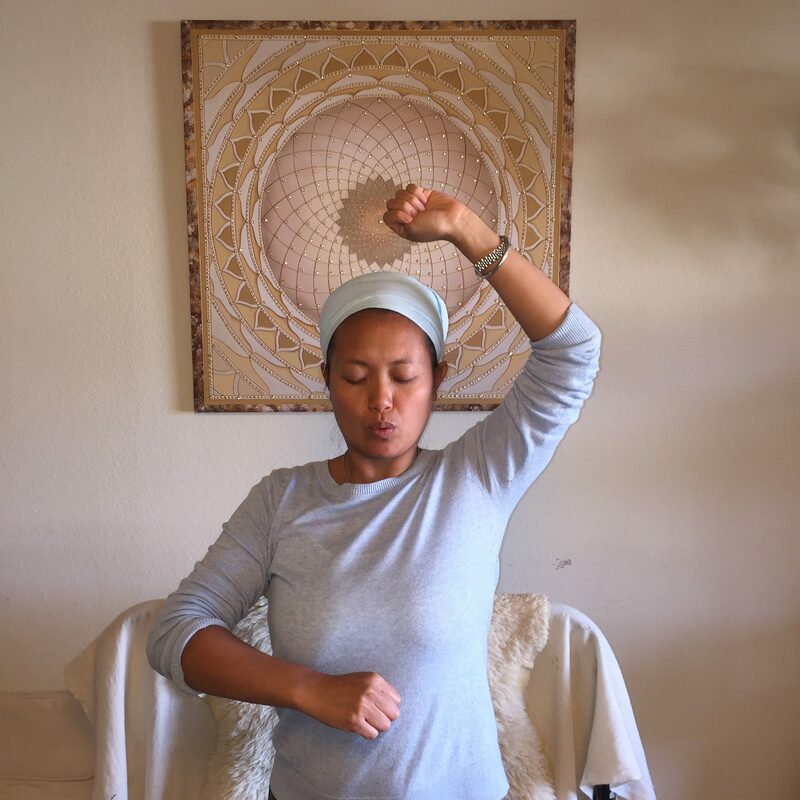 Today we are jumping into one of our favorite topics that has wonderful benefits for your cognitive health, Kirtan Kriya, a singing meditation. Rooted from the teachings of Kundalini Yoga. Kirtan Kriya (pronounced KEER-tun KREE-a) is a way of meditation from the Kundalini yoga tradition. In Sanskrit, kirtan is a song and kriya is used to express a certain set of movements. This technique has been used for thousands of years to help bring the mind, body, and emotions in balance. This helps to support the healing process and to promote cognitive health. This is a meditation, but sometimes it is known as a singing exercise. You complete it by singing the sounds, Saa Taa Naa Maa. In addition, repetitive finger movements, or mudras, can be used in conjunction. This is not a religious practice, but it is beneficial for all types of people from all walks of life. Specifically, when practiced for just 12 minutes a day, it has been scientifically proven to decrease stress levels. Furthermore, this meditation actually promotes activity in areas of the brain that are essential for memory. Is there any science to prove it? Yes. Not only has it been practiced for thousands of years with profound benefits, but there are also multiple studies publishing the many benefits of Kirtan Kriya. For example, there was a study published in the Journal of Alzheimer’s Disease in April of 2016 stating that the Kirtan Kriya increased brain function. It went on to describe that cognitive health through the use of Kirtan Kriya increases brain connectivity (which improves memory) and it also decreases mood aberration. Repeat the Saa Taa Naa Maa sounds (or mantra) while sitting with your spine straight. For 2 minutes, sing in your normal voice. For the next 2 minutes, sing in a whisper. For the next 4 minutes, say the sound silently to yourself. Then reverse the order, whispering for 2 minutes, and then out loud for 2 minutes, for a total of 12 minutes. 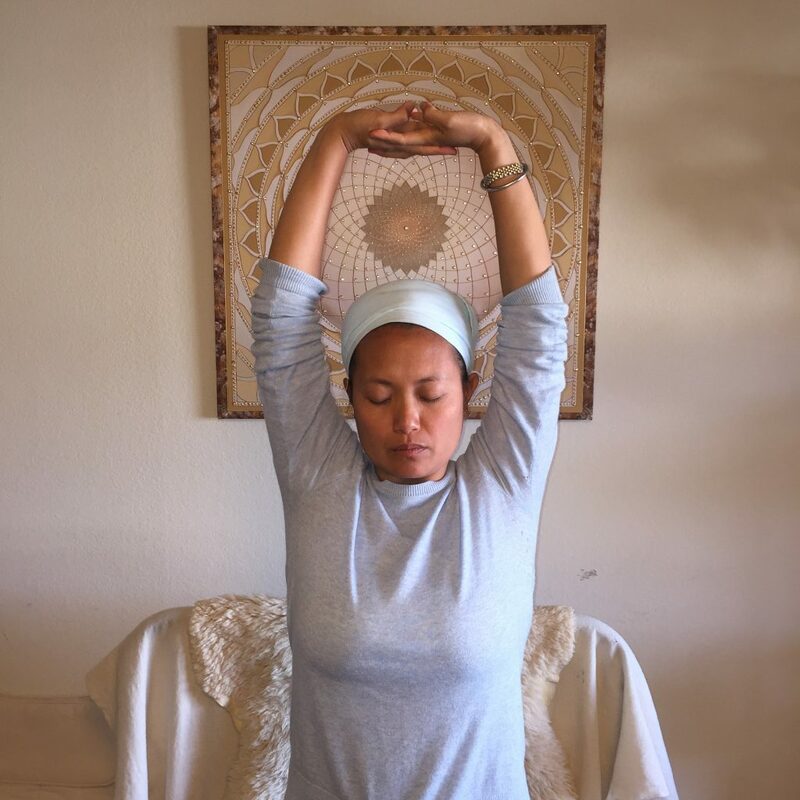 To come out of the exercise, inhale very deeply, stretch your hands above your head, and then bring them down slowly in a sweeping motion as you exhale. The mudras, or finger positions, are very important in this kriya (see illustration below). On Saa, touch the index fingers of each hand to your thumbs. On Taa, touch your middle fingers to your thumbs. On Naa, touch your ring fingers to your thumbs. On Maa, touch your little fingers to your thumbs. Can I do it by myself at home? Certainly! I designed this simple handout for you so you can start practicing at home today. Please click here to download your copy. We recommend following along with this video here to use as a beautiful guide: Kirtan Kriya Video. Here’s an explanation video. Guide To Boosting Your Cognitive Health Part 5: Is your blood sugar affecting your brain? PS: You are invited to click here to sign up for our free 14 Days to Health Video Series and to join our Facebook group for personal support: The Happy Health Community. >> For more journal articles, please click here. Whether you yourself are suffering, your loved one is struggling, or you are an advocate of healthy living- you will want to take note of the tips offered in this guide. This guide is based on Dr. Bredesen’s #1 Bestseller, The End of Alzheimer’s: The First Program to Prevent and Reverse Cognitive Decline, His substantial work in the field of reversing cognitive decline is instrumental for anyone suffering from this themselves or supporting a loved one going through this process. Sleep has multiple mechanisms to reduce cognitive decline. For example, it induces melatonin, which reduces the amyloid-beta associated with Alzheimer’s disease. Also, it is critical to memory consolidation and it alters cellular anatomy to foster the removal of abnormal and toxic species from the brain. Thus, sleep has multiple mechanisms to support the reversal of cognitive decline. It can be helpful to use melatonin at bedtime. A physiological dose is 0.5mg, which can be taken by mouth or sublingually, depending on formulation. Some take higher doses, up to 20mg, and it is a relatively benign supplement, so you can adjust your dose. If the dose is too high, you may notice that you awaken after about three hours of heavy sleep, and you may feel sluggish the next morning. If the dose is right, you should notice increased dreaming and awaken feeling refreshed. Melatonin has many effects, among them reducing amyloid-beta, reducing reactive oxygen species, and tumor suppression. Dr. Kenneth Seaton from Australia spent his career studying the relationship between hygiene, inflammation, and cognition. One of the measures he used to gauge inflammation was the albumin-to-globulin (A/G) ratio. Albumin is an important protein to remove amyloid, and to carry many other molecules (including drugs and hormones) in the blood. When inflammation occurs, from bacteria, fungi, viruses, harmful microbes or dietary inflammagens (like trans fats or simple carbohydrates) the globulin fraction (from which antibodies are derived) increases at the expense of the albumin fraction. This reduces the A/G ratio. This is associated with reduced cognition. Hygiene, and the maintenance of intact barriers (gut lining, blood-brain barrier, oral, nasal, integumentary (skin, nails, hair), etc. ), play a key role in optimizing the A/G ratio. Oral hygiene with an electric toothbrush, floss, and a water-pressure flosser are all important. Oral microbes have been identified repeatedly in the brain in Alzheimer’s disease. Some like to use nasal washes, as well. Evaluation for MARCoNS (multiple antibiotic resistant coagulase-negative Staphylococcus) is helpful, especially in anyone with type 3 (toxic) Alzheimer’s disease. Furthermore, ensuring good nail and skin hygiene can be helpful. Have you ever felt so overcame with emotions and anger that you just can’t stop turning and turning inside. This is a great tool for just that. It channels this uncontrollable and disturbing energy through your breath, and release it. Try it for as little as 1 minute and build up to 3 minutes. Sit in Easy Pose (sitting on floor with legs crossed) or in chair, with a light neck lock (tilt your chin gently down and lengthen your neck upwards). Eyes are closed. Touch each thumb to the base of the pinky fingers. 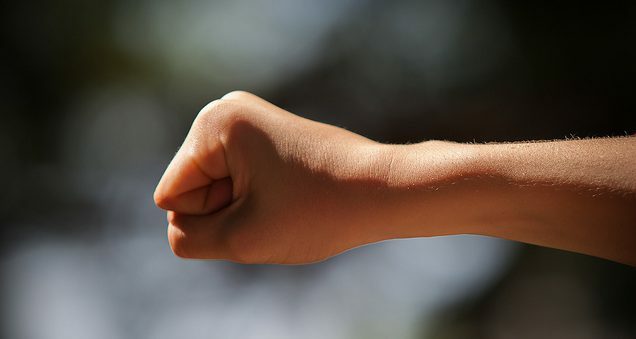 Close the rest of the fingers over the thumbs to form fists. Raising the arms, begin a backstroke type movement over the head, alternating each side (right/left) as you swing up, over and back around again. 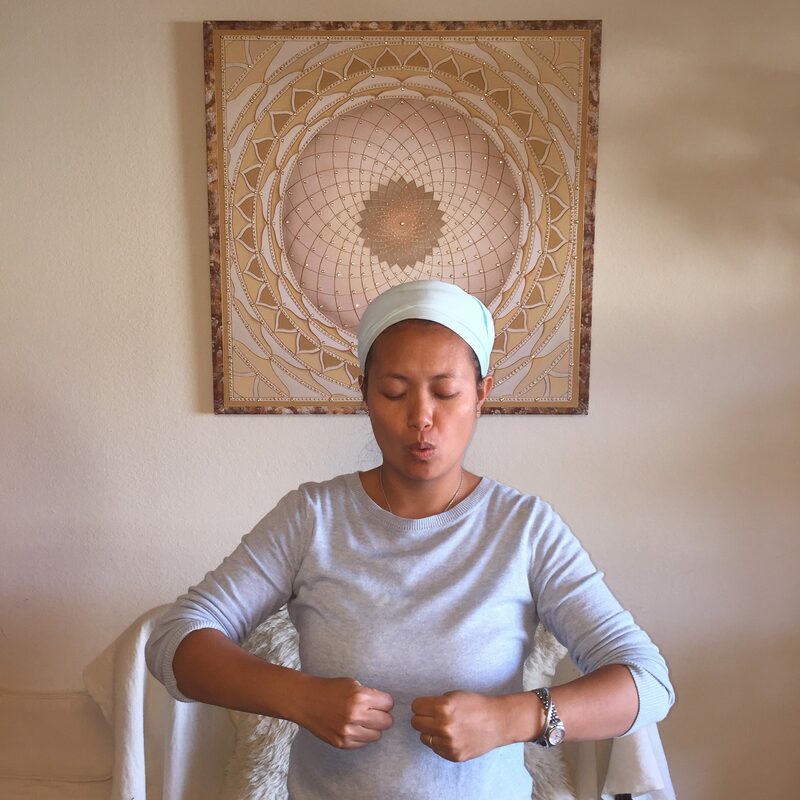 Make an O-shaped mouth and breathe through it with a strong, rhythmic inhale/exhale that is in sync with your arm movements. Begin the backstroke movement and the coordinated breath with a strong and continuous movement. Intentionally think about anything and everything that makes you angry. Continue this laser focus on bringing up the anger throughout the meditation, increasing the movement and breath. 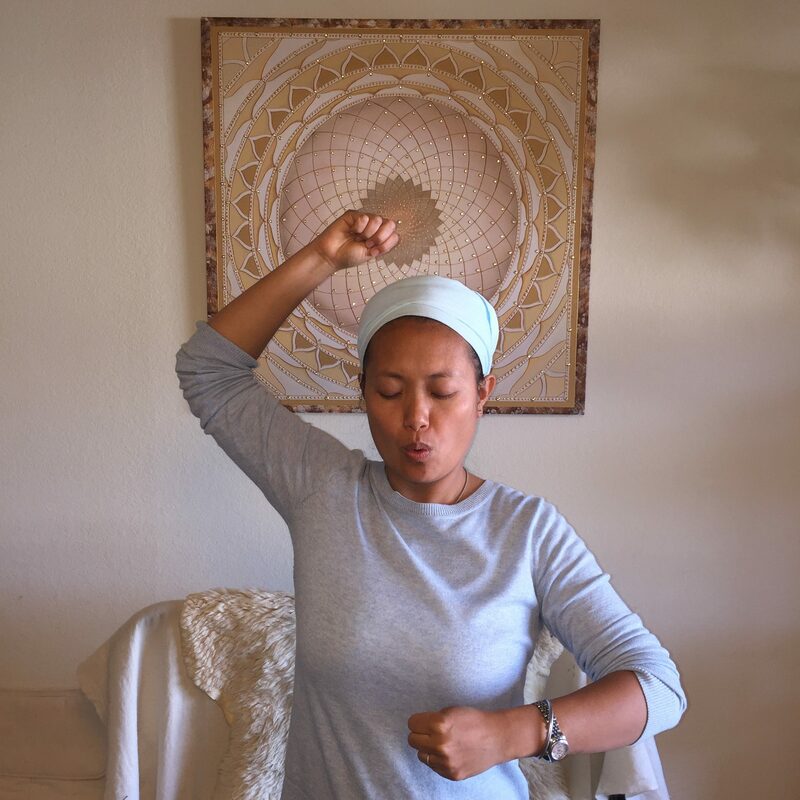 Interlock the fingers, stretch the arms up over head, palms facing up, deep inhale through the O mouth- picture yourself surrounded in white, healing light- exhale out the O mouth. Repeat 3 times. Time: 3 minutes. This meditation is learned from Kundalini Yoga as taught by Yogi Bhajan©. For more infomation visit the Kundalini Research Institute. Schedule a FREE 15 minute consult with Dr. Lo today. Copyright © 2019 Onna Lo MD. All Rights Reserved.